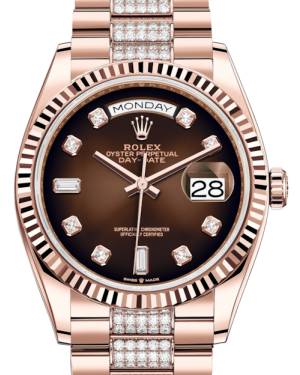 One of the most iconic Rolex models ever made and a symbol of excellence recognized across the globe, the President Day-Date 36 exudes power and has been worn by some of the most influential people in history, including US Presidents and other world leaders. It was the first calendar watch to display the day and date in full, and the watch also features a certified Swiss chronometer, allowing for precise timekeeping. 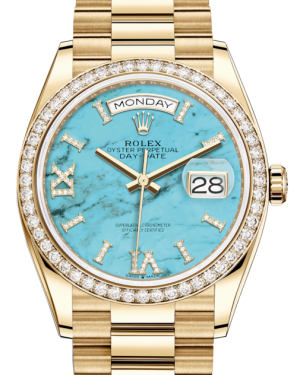 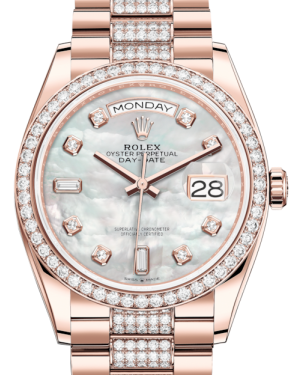 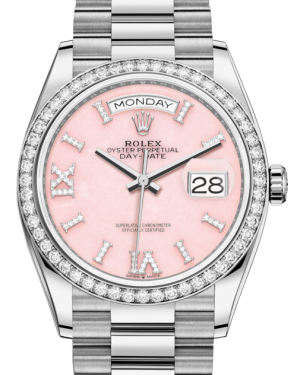 Meanwhile, the Day-Date case is exclusively produced in either 18 carat gold or 950 platinum, while the bezel is available in various styles, including fluted and diamond versions, further adding to the timepiece's prestige and visual appeal. 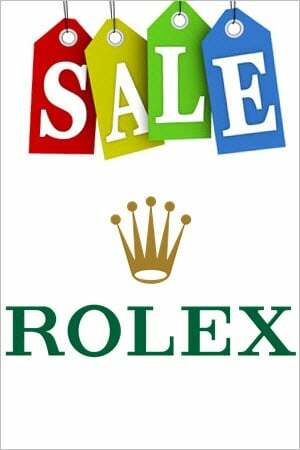 There are over 400 different Rolex Day-Date 36 President watches. 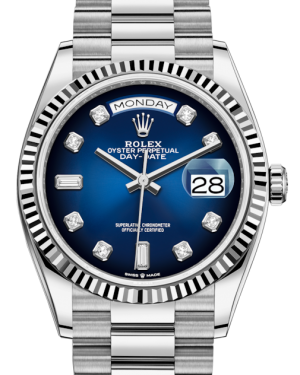 There is no Day-Date 36 made from Stainless Steel. You have the option between Platinum, White, Yellow or Rose Gold. Platinum and White Gold are not as easy to differentiate as Yellow or Everose Gold. 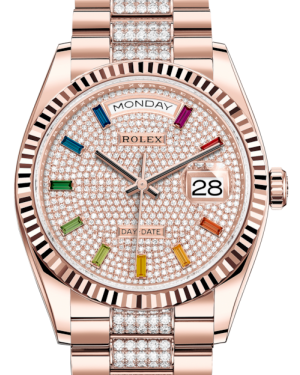 Certain dial colors are only available with the corresponding Material. The champagne (golden) dial is only available with yellow gold Day-Date 36 watches. If you want a Chocolate or Sundust colored dial you have to choose a rose gold President watch. Smooth bezels on the other hand are only available in Platinum. 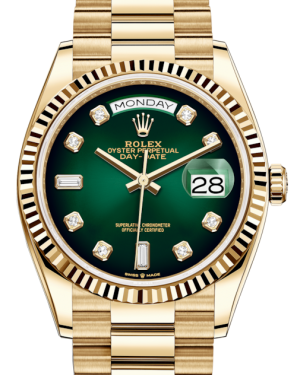 All gold Day-Date 36 Rolex models have a fluted bezel.